DSK: deal or no deal? Did he, or didn’t he? French media reported on Friday that Mr. [Dominique] Straus-Kahn, 63, the former head of the International Monetary Fund, would pay $6 million to the housekeeper, Nafissatou Diallo, who accused him of attacking her at a Midtown Manhattan hotel. 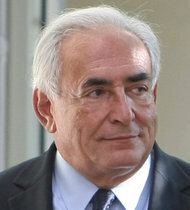 Mr. Strauss-Kahn’s lawyer, William W. Taylor III, said in a telephone interview on Friday morning that the French reports were “completely false” and that the $6 million figure “is off by orders of magnitude,” but he would not elaborate and details of the agreement could not immediately be determined. One of the people with knowledge of the matter had cautioned on Thursday that no settlement had yet been signed. The only lesson so far is that the priapic are likely to get sued. a permanent end to Congressional control over statutory borrowing limits. In exchange for locking in the $1.6 trillion in added revenues, President Obama embraced the goal of finding $400 billion in savings from Medicare and other social programs to be worked out next year, with no guarantees. The decision to present this absurdly one-sided proposal comes straight from the Obama playbook. Recall that the president has presented budgets so ridiculous that they could not garner even one Democratic vote in Congress. Republicans then presented detailed budgets that, unlike the president’s, actually address the debt crisis. Obama responding by demagoguing the Republican cuts. Republicans shouldn’t play this game again. They should tell the White House to eliminate the stimulus spending and the proposal to end Congressional control over statutory borrowing limits, and to propose detailed and significant spending cuts. If the White House declines to do so, Republicans should walk away. Making the Senate present a budget for the first time in 3 years would be a good start, too. Ezra Klein thinks the Republicans should now propose their own. Ezra, where’s the Dems’ budget? Don’t forget: The man now engaged with Congress to work out a grand deal is the same one who could not pull over to his side a single Republican vote for his stimulus legislation, who had to ram through ObamaCare with procedural tricks, and whose inept handling of last year’s debt-ceiling talks ultimately led his fellow Democrat, Senate Majority Leader Harry Reid, to isolate him from the final negotiations. This is not a history to inspire confidence. Mr. Obama’s tendency to campaign rather than lead, to speechify rather than negotiate, has already defined this lame-duck session. The president has wasted weeks during which a framework for a deal has been in place. Within two days of the election, Mr. Boehner had offered an enormous compromise, committing the GOP to provide new tax revenue, through limits on deductions for the wealthy. Mr. Obama campaigned on making “the rich” pay more—and that is exactly what Mr. Boehner agreed to give him. All that was left for the president to do was accept this peace offering, pair it with necessary spending cuts, and take credit for averting a crisis. Mr. Obama has instead spent the past weeks campaigning for tax-rate hikes. He wants the revenue, but collected only the way he chooses. And on the basis of that ideological insistence alone, the nation is much closer to a crisis. Then again, the most frightening aspect of the White House proposal is that it wasn’t an error. Perhaps the proposal was thoroughly calculated. This suggests a president who doesn’t care about the outcome of the cliff negotiations—who thinks that he wins politically no matter what. He’s betting that either the GOP will be far more responsible than he is and do anything to avert a crisis, or that the cliff gives him the tax hikes his partisans are demanding. Win-win, save for the enormous pain to average families across the country. Not that Obama gives a rat’s behind. He’s going on vacation. Besides, the Democrats are completely convinced that if no deal is reached, the Bush tax cuts expire, and sequestration takes effect, Republicans will get most of the blame. View more videos at: http://nbcnewyork.com. Thanks to fifty years of Communist rule, Cuba’s broke, and will continue to be broke. And now, Cubans will be taxed on what they don’t own. The new code covers 19 taxes, including such things as inheritance, environment, sales, transportation and farm land, various license fees and three contributions, including social security. It’s a perversely absurd view of the issue. The truth is that the castro regime, like all other totalitarian ones, is concerned with complete control of the citizenry. Political control, economic control, it’s all the same and necessary for the retention of power which is the sole aim of despots. castro, inc. is interested in generating revenue wherever it can while maintaining as much control as possible. I’ve stated many times that if raul castro truly wanted to implement the “Chinese Model” economy into Cuba he could have done so by now. He doesn’t do it because he knows Cuba is not China and the Cuban people will not be so easy to control once they have more economic self-determination. The regime wouldn’t last six months under a Chinese type of economic system. Frank’s assuming that “businesses will become cooperatives or be privately leased” and will be able to survive enough to pay taxes. What happened to the small businesses that were mowed down in the 1990s? What about this year’s new import fees? So when the state controlled industry, businesses endured a 100% tax rate, and the nation never rose to prosperity, never saw an increase in take home pay, never really ever saw a modern way of life take hold. the money workers could earn if free to choose their employers at wages that reflect their worth now all goes to the state and its “free” programs. 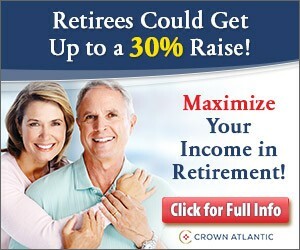 Officially or not, it’s a tax well beyond 99%. And what a surprise, the Castro brothers just happen to have personal fortunes in the billions of dollars, according to the last Forbes estimate. That’s a lot of taxes. The Castro dictatorship is looking to take cash from the supposedly independent new businesses it’s permitted to set up shop, originally as a way of cutting the bloated state employment rolls. Far from being a market liberalization or modernization, the Castroite tax hike is nothing but a shakedown of businesses that are struggling to grow, and an effort to reassert the power of the state over its citizens. It’s the same-old, same-old, folks. Mexico’s President-Elect Praises Obama on Immigration: ‘We Fully Support Your Proposal’. It’s probably a good idea that Obama’s not going; you wouldn’t want to appear to be favoring the PRI. Obama congratulated Peña Nieto on his electoral win, noting that Biden will be leading the U.S. delegation to his inauguration ceremony early next month. “We only send the vice president to inaugurations if your county is at the very top of the list,” Obama said, eliciting a chuckle from Biden. Let’s hope Joe doesn’t add a new gaffe to the list. No, he wasn’t making 99 and 44/100% pure anything; Paul Frampton just got duped by a babe in bikini* into carrying a whopping 4 pounds of cocaine. Today Instapundit has an update: Frampton’s been sentenced to four years and eight months of jail. Here’s a bit of advice: Do not do anything involving drugs of any kind when traveling. You don’t have any rights other than what the host country may or may not grant you. If I’m not making myself clear, watch Midnight Express. * It’s not quite clear whether he actually met the aforementioned babe in bikini. I do mean all drugs. Always carry a prescription for any medications you have to take in your trip. Stay away from everything else, and of course, never take any packages, luggage, etc. that are not yours. live now, with Rick and Bryan Preston of PJMedia, talking about the Cliffhanger: Can We Avoid Catastrophe? You can also listen to the archived podcast at your convenience.